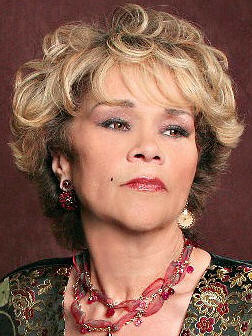 Etta James died on January 20, 2012. You probably know her from the hit single “At Last”. Born Jamesetta Hawkins on January 25, 1938 in Los Angeles, her long carrier included a variety of music from jazz, blues, rhythm and blues, gospel, soul and rock & roll. Etta won six Grammy awards, 17 Blues Music Awards and inducted into the Grammy Rock & Roll Hall of Fame in 1999 for her work including “At Last”. Her singing carrier started at age five when she sang for the St. Paul Baptist Church in Los Angeles. Even with a very difficult childhood and struggling with a drug addiction and serving prison time for it, she managed to advance her carrier in music. In 1954 she changed her name to stage name of Etta James. Between 1961 to 2008, she has been nominated for several awards including Best Rhythm & Blues Performance and winning Best Jazz Vocal Performance award in 1995, Best Contemporary Blues Album in 2004 and Best Traditional Blues Album award in 2005. In addition to “At Last”, her best work includes “Dance With Me, Henry”, “Tell Mama” and “I’d Rather Go Blind”. She had two sons and was married to Artis Mills.